Playing naughty or nice . . .
Fiona Wilder knows all about falling in lust. Love? That’s another story. Determined not to repeat past mistakes, the single mom and cupcake shop owner is focused on walking the straight and narrow. But trouble has a way of finding her. And this time it comes in the form of a smoking hot firefighter who knows all the delicious ways to ignite her bad-girl fuse. Can lead to heartbreak . . .
Firefighter Mike Halsey learned long ago that playing with fire just gets you burned. He’s put his demons behind him, and if there’s one line he won’t cross, it’s getting involved with his best friend’s ex. 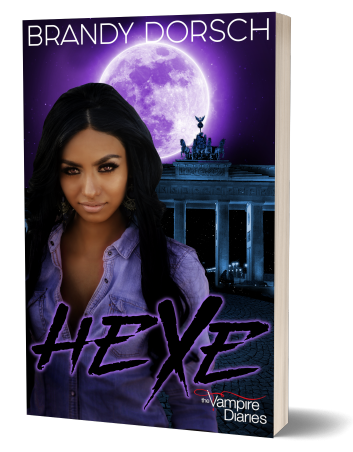 But when fate throws him in the path of the beautiful, strong, and off-limits Fiona, will he be able to fight their attraction? Or will he willingly go down in flames? Candis Terry was born and raised near the sunny beaches of Southern California and now makes her home on an Idaho farm. She’s experienced life in such diverse ways as working in a Hollywood recording studio to scooping up road apples left by her daughter’s rodeo queening horse to working as a graphic designer. Only one thing has remained constant: Candis’ passion for writing stories about relationships, the push and pull in the search for love, and the security one finds in their own happily ever after. Though her stories are set in small towns, Candis’ wish is to give each of her characters a great big memorable love story rich with quirky characters, tons of fun, and a happy ending. I am lucky to be able to interact with some amazing and talented writers. I had the privilege of getting to talk to Candis and here is what she said. What are your must haves when you are writing? Examples: fuzzy slippers, rabbits foot or a magic 8 ball? I must have coffee and some kind of murder type of TV show on in the background with the volume off. It’s usually Criminal Minds, CSI Miami, or First 48 Hours. I don’t know why, but it works for me. Do you listen to music when you write? If so, what genre? I don’t actually listen to music while I write. It would interfere with those murder shows. But I do hear songs in my head when I write and they usually go into the story because they usually are great for setting the scene. For instance, the opening scene of Something Sweeter is set in Seven Devils Saloon and the song playing is Miranda Lambert’s “Kerosene.” It’s perfect because when Jesse Wilder meets his match in Allison Lane it’s very combustible. I love all genres and on my Playlists I literally have everyone from Motley Crue to Tom Jones. Your covers are amazing. Do you bring the ideas to your publisher or do they just show you what they are going to be? Thank you! I love my covers and I’m so grateful to the amazing art department at Avon Books for the beautiful work they do. In the beginning of the Sweet, Texas series (for the book Anything But Sweet) I was just asked to give them a general idea about the book. They came up with the lovely photo that is now the cover. And that pretty much set the look and the pace for the rest. It’s important for us to convey that happy feeling on the covers and to really relate to the story inside. Obviously getting the hero and heroine to look as much like the story couple is important too. Now, for each book, I send them a description of the characters and then I send along photos of poses I like and also I send photos of actors, actresses, or models that might have inspired my characters. With the cover of Something Sweeter I’d seen a wedding photo on Pinterest by this amazing award-winning South African photographer. I sent it to the art department and said, “This photo exactly conveys the spirit of the story in the book.” To my amazement the art director contacted the photographer and obtained the rights to use the actual wedding photo. How cool is that? What type of stories do you like to read? I love contemporary romance, but usually when I’m working on a book I stay away from that genre and read more paranormal or new adult books. I also love to read biographies of the golden era movie stars like Judy Garland and Clark Gable. Would you be interested in adapting any of your stories to the big/little screen? If so, which one? I would love that! And without question I’d love for Home Sweet Home, my story in the For Love and Honor anthology to be made into a movie. It’s the introduction to the Sweet, Texas series and honestly, it’s one of the most emotional stories I’ve ever written. It will probably always be near and dear to my heart, and I think it would transfer well to the big (or little) screen. Can you tell my readers how you got your first story published? It took me 22 years to finally connect with the right editor and the right publisher. For years I had my heart set on writing for Harlequin. After a lot of interest (several times) and editorial revisions (several times—without a contract), I had to face the fact that I didn’t write what they were looking for and I may never write what they were looking for. I finally decided I’d write one more book but that I’d do it my way. But really, I was ready to quit trying. Only about four chapters into this new story I attended a local writer’s conference with a published author friend. There I sat at the table with an Avon editor (my dream publisher) who asked about me and my writing. I wasn’t going to pitch my book but she asked me to, so I agreed. I didn’t prepare, I literally just told her about the story from my heart. She asked for whatever I had. I sent it. Then she requested the rest when I was done. I finished it in four months and sent it. Then I didn’t hear back from her for nine months. The offer came in to sign on with Avon Impulse, a brand new ebook first, POD line. It wasn’t my dream but my agent said it was a good idea, so I signed a three-book contract. After my first three books (the Sugar Shack series—all published within six months of each other), I sent in a new proposal (the Sweet, Texas series) and was moved up to Avon Books mass market publication. It was a long road but man, am I ever glad I stuck with it. Will you share something from your newest book? How about a little teaser from Sweet Surprise? This was a fun scene between the heroine, Fiona, and her BFF Sabrina after Fiona is in a car accident. Sabrina was a full-blown Mexican fireball. And Fiona considered herself lucky to have such a friend. Especially one who’d stuck with her through the thick of her insanity. “The hospital should put you in charge of the morale-boosting committee,” Fiona said. And she did—popping up a hot pink fingernail with each point she made. And there lay the problem. Fiona had had enough fun to last her—plus ten other people—a lifetime. Somehow, by the grace of God, she’d managed to survive. Now it was time to get serious. And serious did not include hooking up with another fireman. No matter how sizzling he might be. Any advise to aspiring authors? Never give up. Never! If being published is your dream, make it happen. Stay true to your own voice and keep your eyes open for opportunities. It is no secret that I absolutely adore Candis Terry. She is a talented writer and a wonderful person. I love these books and when I am in the mood for a sweet romance this is one of the writers I head to. Fiona has always depended on others but now it is time to stand on her own two feet. What better way to do that then to start a company? If you are going to do it, then cupcakes (yum, nom, nom) are the way to do it. I love the Wilder family. They truly show you what it means to be a family and I think it is amazing that they keep Fiona in the family. I really like that Mike and Fiona have this amazing chemistry and they know how to have fun with each other. In a lot of books we see the “insta-love” and it is always nice to see a slow, sensual building of lust that explodes into a love of a lifetime. Please take a chance and discover this amazing group of characters and the sweetness that is Candis Terry. Brandy! Thank you so much for hosting my tour! I truly appreciate it. And YOU! 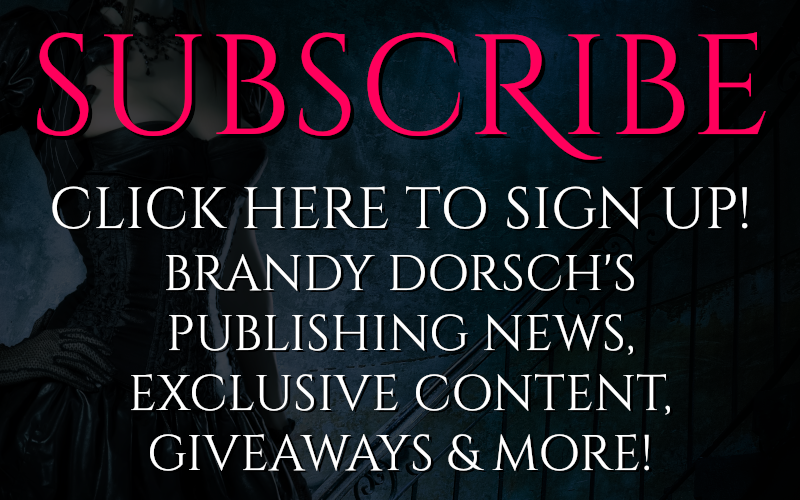 to the home of paranormal romance author Brandy Dorsch and Romancebookworm Reviews! Brandy decided to combine the two instead of running two separate websites. Thank you for visiting and Happy Reading! Download Your FREE Copy Now!